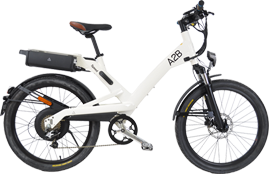 A2B has acquired the Electric Bicycle Network to establish a 'cost-effective, sustainable form of transportation throughout the UK'. The Electric Bicycle Network currently provides over 5,000 e-bike rentals a year for visitors to some of the largest national parks in the UK, including the Lake District, The Peak District, the Chilterns and the Cairngorms. We think the fusion of the distance-range of the A2B e-bikes and the availability of the re-charging points, provides a great solution for seeing more of our national parks, and it’s a great way for visitors to see more of the UKs stunning landscapes. 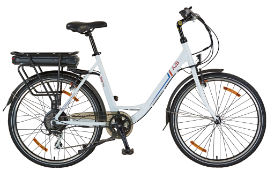 Our A2B e-bikes have the durability and endurance to cover large areas of easy cycling routes and more challenging terrain, with many re-charging points and places to eat and overnight stays within easy access of these routes. Acquiring the UK’s Electric Bicycle Network reinforces A2B’s commitments to raise awareness of the benefits of electric bicycles globally, and we continue to work alongside a number of e-bike charitable foundations, including Cycology in South Africa and Italy. We are very excited to be part of the Electric Bicycle Network and look forward to our first season at the helm.